Zombies, Run! Halloween T-Shirt! – Zombies, Run! Halloween is fast approaching and, to celebrate, we’ve designed a new limited edition official Zombies, Run! t-shirt for just $25. 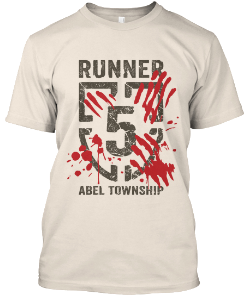 This design is perfect for those of you wanting to dress up as your favourite Runner 5 (you, presumably!) on October 31st. 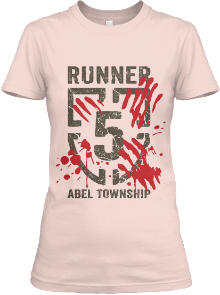 Or, alternatively, make a few rips here and there and apply a little fake blood – you have yourself a zombie Runner 5 costume. That’s two costumes in one. Bargain! Don’t like Halloween? That’s cool, it’s not compulsory. You can go ahead and wear it whenever you want. Who are we, the T-shirt police? Check out the Teespring page for more details, including sizing and colour info. Be quick, though. This design will only be available until October 3rd. 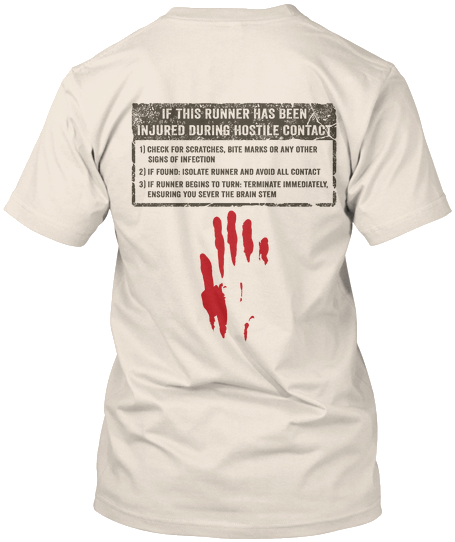 After that, there’s no guarantee we will be offering this shirt again! And don’t worry, we’re assured that they’ll arrive in time for the holiday!